Lois was born in Reno, Nevada, on January 18, 1915 to Charles W. Brooks, left, and Harriett Peckham, right. She grew up with an older brother, Ernest, three older sisters; Ethel, Myrtle, and Carol, and her younger sister Louise at 331 Moran Street. Her father started the Model Dairy in Reno, which benefited many in the family and made for many fond memories for his children and grandchildren. Lois attended Reno Junior and Senior High Schools, and in 1936, she graduated from the University of Nevada with a degree in Spanish and Education. During her senior year mother was dying of cancer. After graduation, she started teaching in Minden, Nevada, where she taught 3rd grade. She really wanted to teach band, but women weren't allowed to do that. So, she created and directed a band on her own. It was the only elementary school band in the state. She also gave private lessons and created a photography class at the school. Her dream was to attend the Julliard School of Music and she was saving toward that end. In June, 1939, Lois joined her cousin Jim Peckham and started taking flying lessons. On December 1, they and a friend Vic Spezia took delivery of a brand new 65 horse power Taylorcraft, NC 23875. It cost them $1,995.00 On December 3, 1939, Lois soloed. She got her pilot license, #92666, on April 17, 1940. Initially, Lois only got to fly on the weekends while Jim and Vic flew during the week. Eventually, Lois became sole owner of the plane. Lois, while still fulfilling her teaching duties, kept flying; spots, cross-country, chandelles, eights, verticals, spins, loops and stalls. Finally, on July 11, 1941, with over 300 hours, she took and passed her commercial license test. By late August, 1942, Lois had accumulated over 500 hours. On August 29, she sold her Taylorcraft. She kept flying though. In September, her brother was running for Congress and she flew him around northern Nevada. She had to borrow another Taylorcraft from Virgil Smith, a local gambler. About this time, she received an invitation from Nancy Love to join the WAFS. However, she was not interested in going back east to interview with Nancy. Then she got a telegram from Jackie Cochran for a west coast meeting to see if she would be interested in flying planes for the Army. 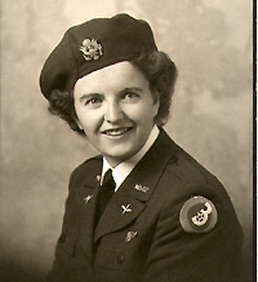 Lois spent two years in training and supporting tow target training at Biggs Army Air Field as a WASP. (To learn more about Lois, get Cindy Weigands new book.) During her time in the WASP, she made many long term friends; Betty Dueser Budde, Emma Coulter Ware, Kay Menges Brick, and Lois Hollingsworth Ziler (Holly, her best friend). 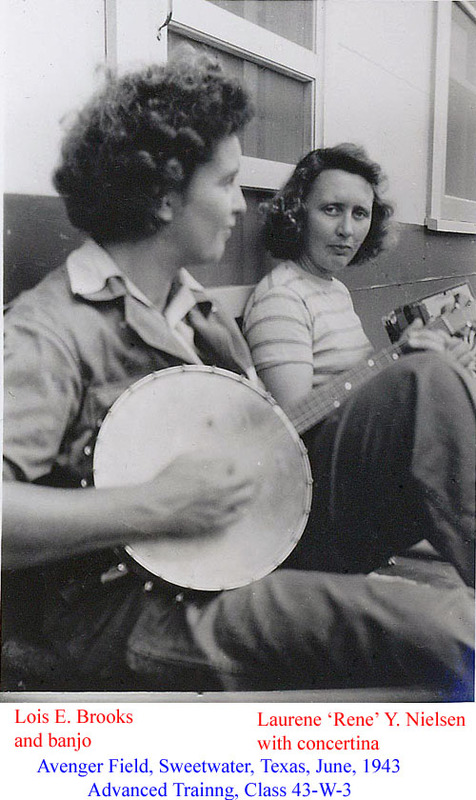 She also brought her musical talents to the WASP when her banjo arrived. Near the end of the WASP program, Lois and Holly started training for their civilian instructor licenses. By this time, Lois had accumulated over 1,300 hours. For the next five years she and Holly supported themselves by teaching flying to many GIs. They even pooled their earnings to buy a house. 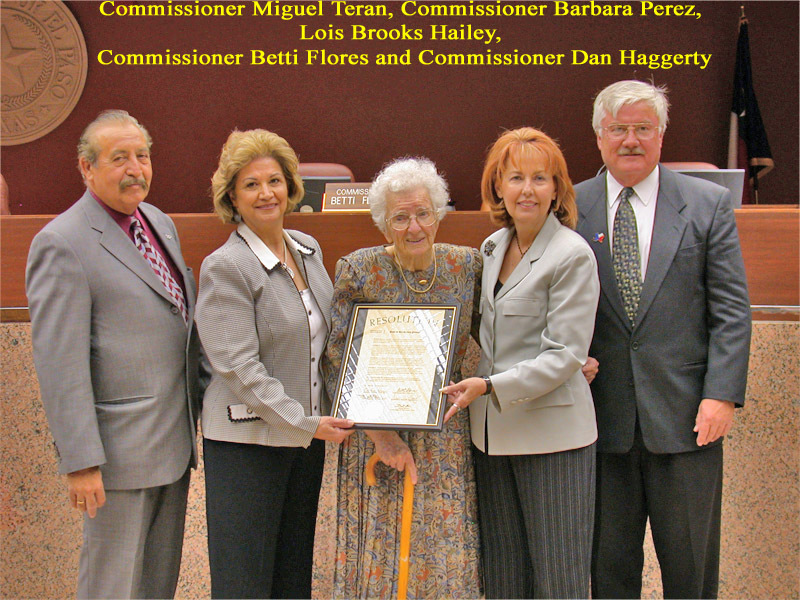 In 1946, she also became the first chairperson of the El Paso Chapter of the 99s. In March of 1947, she soloed Sam Hailey, her husband to be and in June of that same year, she soloed her father Charles Brooks, age 65. At this point Lois had over 3,000 hours flying. During this time she also wrote a column, "El Paso Air Lanes" for the El Paso Times. Lois married Sam Hailey in 1947. In April of 1948, they became parents to Andrew Hailey. Her marriage didn't last and in the fall of 1949, she went back to teaching with the El Paso School District. Lois never remarried. Her teaching career in El Paso spanned 31 years and included earning her Masters in Education with a minor in Music. She typically taught at three different schools each day for a given school year and provided instruction at more than 10 different EPISD schools. At Austin High School, she taught a course in aeronautics, but most classes were band or orchestra. One of her students provided this tribute after the award of the Congressional Gold Medal to all the WASP. During that time she continued to fly, but by 1978, Lois had only added about 600 hours to her pilot log. On the other hand, the WASP had started organizing reunions. These reunions were complimented by other gatherings to honor the women pilots. During her retirement years Lois, and the other WASPs, started gaining recognition for their contributions to aviation. On November 8, 1985, Lois was inducted into the El Paso Aviation Hall of Fame. In July, 1986, she was inducted into the International Forest of Friendship in Atchison, Kansas. The Forest honors members of the 99s. In 1987, she was also honored as a teacher at the 40th class reunion of the class of 1947. Lois is also recognized for her WASP service by the War Eagles Air Museum where her WASP uniform was on display before it was destroyed by taking it to a dry cleaner. In November of 2004, Lois and all the WASP were inducted in the the Texas Aviation Hall of Fame at the Lone Star Museum in Galveston, Texas. 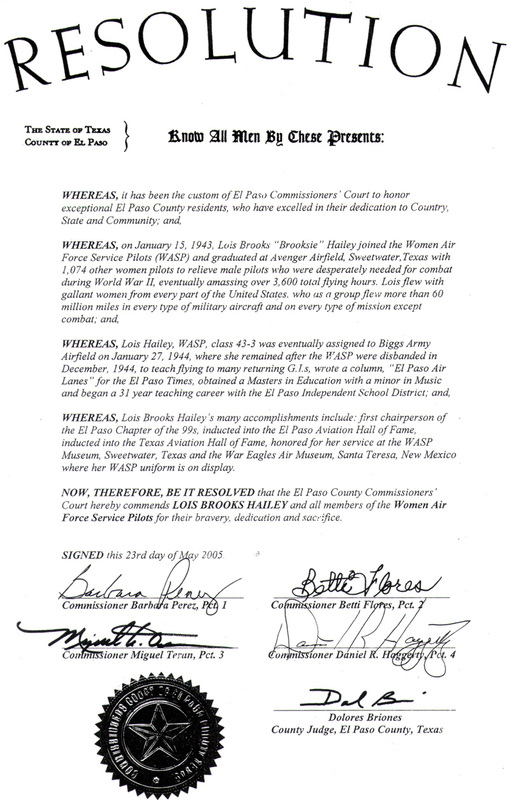 On May 23, 2005, Lois was present at the El Paso Commissioners' Court in El Paso, Texas, to accept the court's resolution recognizing all WASP for their contributions to WWII and Lois for her contributions to the El Paso community. The following day the El Paso times reported the story. Independent - From being a 'tom boy' as a child, to living on her own after college graduation, to learning to fly, to joining the WASP, to raising her son alone, to owning her own home to managing her own finances, Lois has needed, only recently, the assistance of her best friend's family to drive her where she needed to go to take care of business. Strong - From learning to fly in a man's world and getting a commercial pilot license by July of 1941, to her second battle with cancer and the Polaroid picture of her that reminded her proudly of her bald dad, to her fourth fight with cancer where she was mostly concerned about what was taking the doctor so long to schedule the surgery to cut the cancer out, she always kept fighting for what she thought needed to be done. Giving - From helping a cousin to buy a plane, to providing funds to an immigrant family to buy their first home, to sponsoring Korean GIs while they were trained at Fort Bliss, to teaching English as a second language, to helping her grand daughter buy her first car, Lois helped make the world around her a little better. A tribute form Luis Fierro, a former student of Lois's.